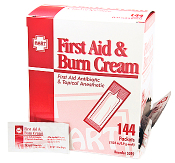 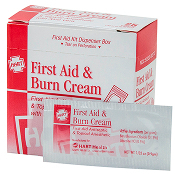 "first aid burn gels and sprays"
BURN STOP , BURN GEL 25 CT. 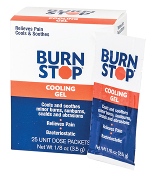 BOX BURN STOP BURN GEL, 3.5 GM,/ 6 CT. 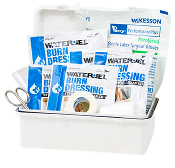 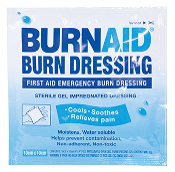 BAG BURNAID BURN DRESSING 4"X4"